Before I took my first ride to work I decided to map out the shortest route that would get me there safely. I used Google Maps for directions. There is a button specifically for bicycling which works pretty well but it is not perfect. I used the results Google gave me and dragged the route to roads that I thought would be better. 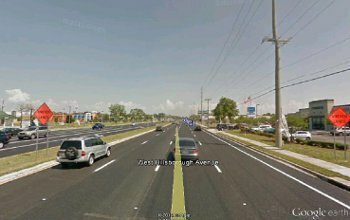 For instance, the route it gave me put me on Hillsborough Avenue, a very busy street that is one of the main roads from the northern part of Tampa to Pinellas County and the beaches. The road does have bike lanes, which is good, but the drivers are crazy and I don’t trust them to stay out of the bike lane. On Monday, when I was caught in a heavy rain, I took a slight detour and took shelter at a Target store. When the rain died down I continued home on Hillsborough and was nearly hit in the head by the mirror of a passing pickup truck. By looking at the map, I realized I could cross Hillsborough and take the sidewalk a quarter-mile where I could get off on a back-road. (I’ll talk about sidewalks in another post.) The Google map bypassed that back-road and took me out-of-the-way so I needed to find out why. This is where Google Earth comes in handy. I used the street level view in Google Earth and traveled that road as if I was riding on it. The same thing can be done using Google Maps but not as quickly. The virtual trip showed me that the road was narrow with no shoulder, which was not good, but it also showed that there was very little traffic and several places I could pull off to the side if I needed to. It has worked out pretty well for me. 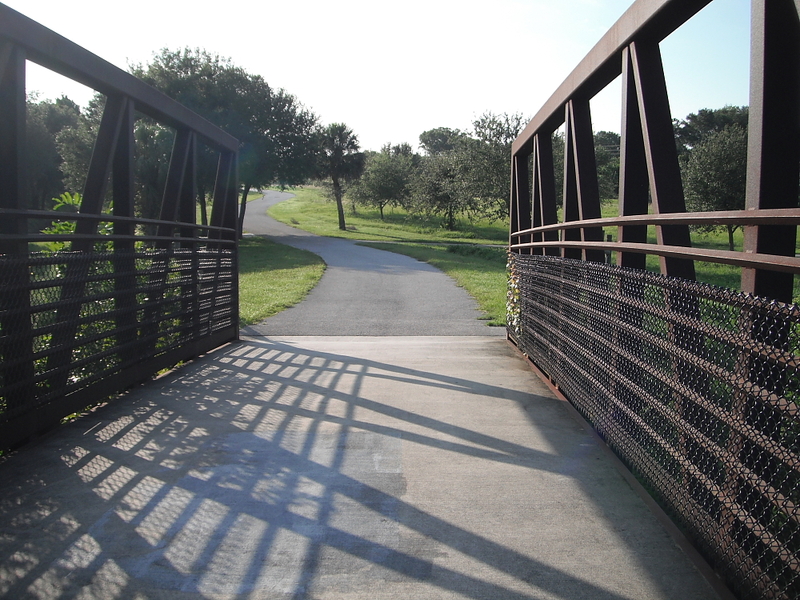 The only problem I have is the last mile or less of my trip, starting from where the Upper Tampa Bay Trail meets the street I work on. This is a very busy road with no bike lane so I ride on the sidewalk. The problem is the sidewalk is old and several sections have dropped or risen making it a potential flat tire hazard. The other option is to ride on the street where there is a potential flat head hazard. I choose the former. Last week I took a chance and took a side street that cut off a block of bad sidewalk. Monday, Without looking at a map, I tried taking an earlier side street. This time it did not work and the road turned away from where I wanted to go. Worse, every time I tried to get back on track the street would take a turn opposite the direction I wanted to go. When I got home I looked at the map and discovered that Moe, Larry and Curly designed the streets in that neighborhood. From now on, unless I am just casually exploring, I am mapping out my trip. 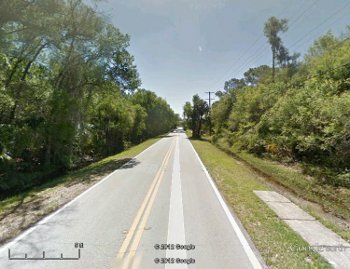 This entry was posted in Uncategorized and tagged Cycling, Google Earth, googlemaps, maps, safety, trip planning, Upper Tampa Bay Trail on August 5, 2012 by Charles Huss.